I completed the first half of the rhubarb shawl last night. This shawl is worked so that the leaves “fall” down your shoulders in the same direction on both sides. It’s a gorgeous effect. I completed this half in just under one week, so hopefully I can finish the next half just as quickly. If I can, then I think I can have it in my friend’s hands before the cold weather ends. 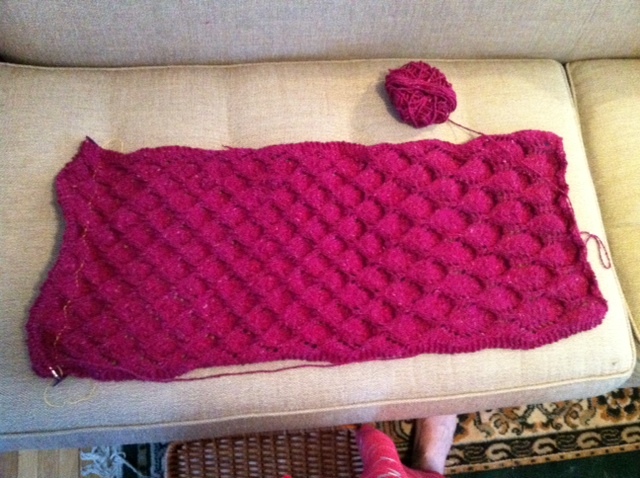 I really love the way this tweedy yarn is looking with this pattern. I forgive the yarn for feeling a little funny in my hands. 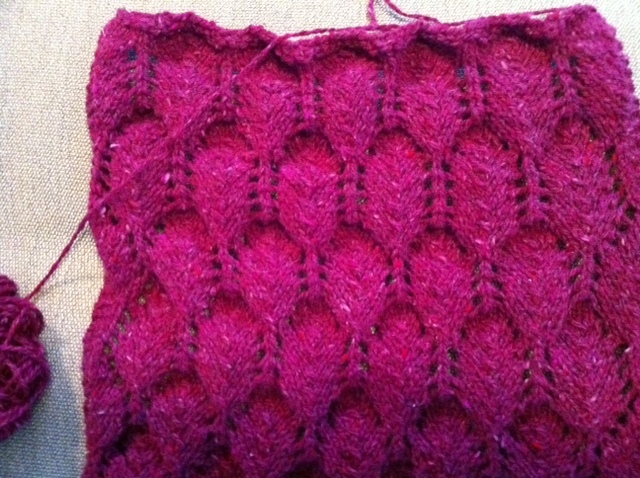 The large leaves on the bottom of the shawl. I love the simple beauty of this design . Good job, Mr. Flood.